July 16th, 1945 at 5:29:45 a.m. the first atomic bomb blazed into existence in Alamogordo, New Mexico. Twenty-four days later, Hiroshima and Nagasaki were laid to nuclear waste. Death and destruction leaked onto not only the people and the land but also onto the culture and history, erasing time itself. Atomic Traces is an online exhibition about the stages of nuclear power and weapons and their inevitable destruction they will cause. The exhibition looks at these stages in the form of a house. Nuclear waste resides in the basement; stored away hidden yet felt. Nuclear explosions live on the ground floor, the most visible of the three. Finally, radiation masquerades as the roof of the building, invisible and poisoning the occupants. The image and symbol of a house is applied to nuclear here because both houses and nuclear energy/ weapons are actively planned and constructed by people, neither exists in nature. Houses are a part of the history of the landscape. They are like people, they have their own histories, personalities, charms, and faults; they can be fixed or broken. They are individual, yet the same. They are their own class of things, an inanimate species. In today’s current climate, landscapes and cultures all are at risk of being annihilated. 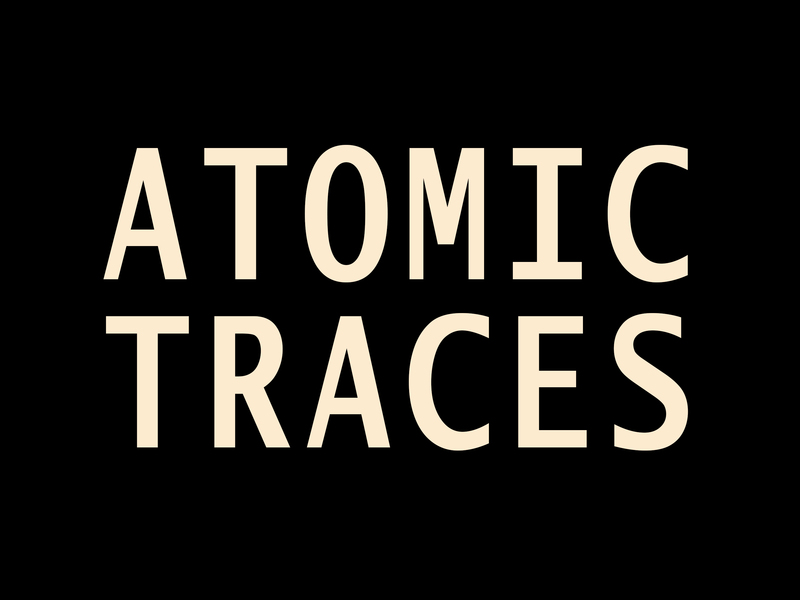 Atomic Traces is a part of the 14x48 Billboard Project. 14x48 repurposes vacant billboards as public art space in order to create more opportunities in public art for emerging artists, to challenge emerging artists to engage more with public art, and to enliven the vibrancy of our urban environment. The best way to navigate the exhibit (on a desktop) is to scroll sideways rather than vertical. If you are unable to do so, the arrow keys will help you acheive this. Scroll all the way to the right to enter the exhibit. This exhibit is curated by Liz Faust.